Yes, I'm alive. Yes, I still love making drinks. No, I have not retired from cocktail blogging. All good questions my friends, all good questions. I've taken the last couple of weeks to fulfill some unrelated-to-drinks-business I've been meaning to get around to and finish up. At the same time, I've been mulling over ways in which The Amateur Mixologist experience can be improved. We've got 70+ cocktails in bin, and are off to a fantastic start. Yes, that's right, I said start. I think we're scratching the surface of possibilities here. Take for example, a couple Friday's back when my friends and I had a vodka tasting. We all purchased $35-40+ bottles of vodka and proceeded to drink approximately 6 or 7 different vodkas. We didn't do a blind tasting and, it wasn't scientific, I assure you. It didn't really matter to us what the price was on the bottle, but then again, everything we were drinking was in the same ballpark - the "premium" or "ultra/siper-premium" class. The winner? Well, there were two winners really: Belvedere and Żubrówka. Belvedere was clean, refreshing, and lacked the pungent alcohol flavor that some of the other vodkas brought into the mix. Żubrówka was incredibly unique, and tasted like Cinnamon Toast Crunch cereal. 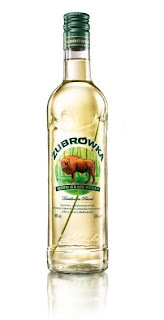 It's worth noting too, that the Żubrówka we consumed was the true Polish version of the vodka that is illegal in the States (JB and I had no idea of its illegal nature in advance of bringing it back). You can find bison grass vodka here that is without the illegal components, though I'm not sure if it tastes different than the Polish version. In any event, the vodka tasting is a solid concept that we have not yet explored here at The Amateur Mixologist. We've considered video, as well as a less frequent posting schedule, but with more depth (think New Yorker v. The Week). All told this has been a fun experiment., and one that we plan to continue. Readership has steadily increased in the last months, and we're closing to averaging 1,000 page views a month. Thank you again for all of your support - your e-mails, your comments are all very much appreciated. After this past weekend, whereby I celebrated a fraternity brother's bachelor party at Keeneland in Lexington, I will need some time to recover. It's been a rough stretch of late, and some time away from a cocktail is well needed, and well deserved. Know though, that we'll be back, hopefully soon, with a cocktail or alcohol related post that is sure to please. Drink with you soon - and until then - cheers!